Taylor Helms, an OHHS Art and Design 2016 graduate, worked as an Apprentice this summer on the 125th anniversary mural for the Woman’s Art Club of Cincinnati. Artist Tine Westerkamp designed this beautiful piece for the oldest and longest running women’s art club in the United States! 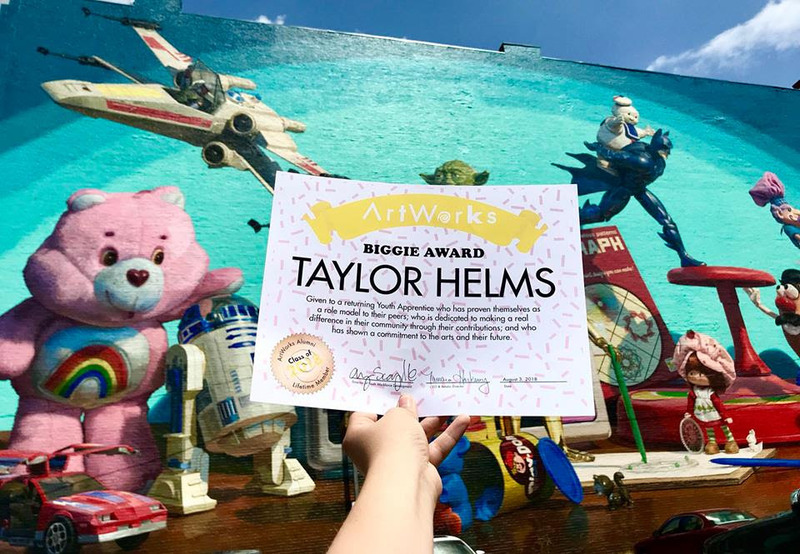 Taylor was also awarded the ArtWorks Biggie Award this summer. Over the past 6 years, Taylor has worked as an Apprentice on 10 different projects all over the Queen City! Mural Dedication is September 18th at 5pm!